My show is workable in spaces like train cars, restaurants and house parties. The show is interactive and is great for birthdays and anniversaries. I use recorded tracks and sing while paying tribute to the large personality of this Hollywood legend. 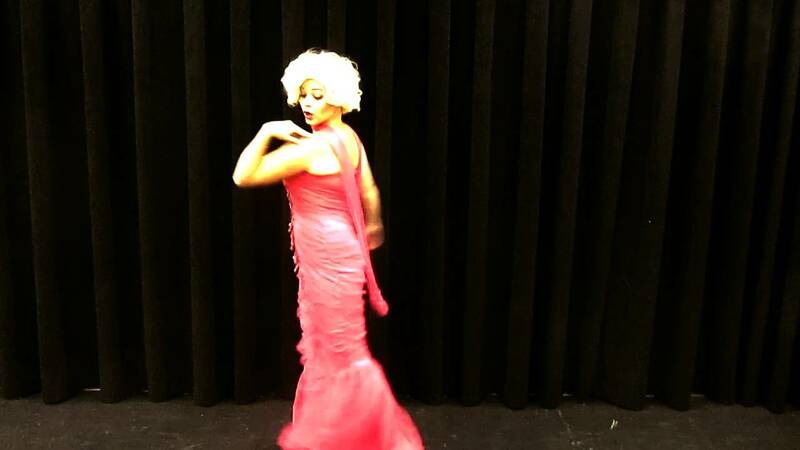 Amanda Lyn as Marilyn was a surprise for my dad’s 70th Birthday party. Amanda Lyn has a great look, a great voice and a charming personality. She sang the iconic happy birthday song and took pictures with any of the guests who wanted one. It was easy to book and communicate with her through GigSalad. Excellent experience all around. Amanda was everything I wanted and more. She is very talented and her voice is beautiful. 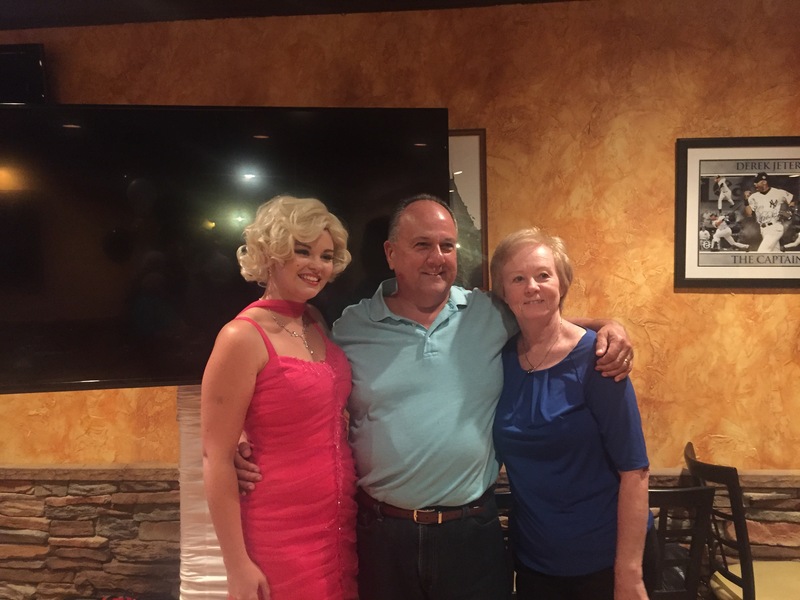 All my guests were very impressed by her, and my husband was so happy it took him back in time...he was so happy! This was the first time he has had a surprise BD party, and Amanda made it unforgettable . 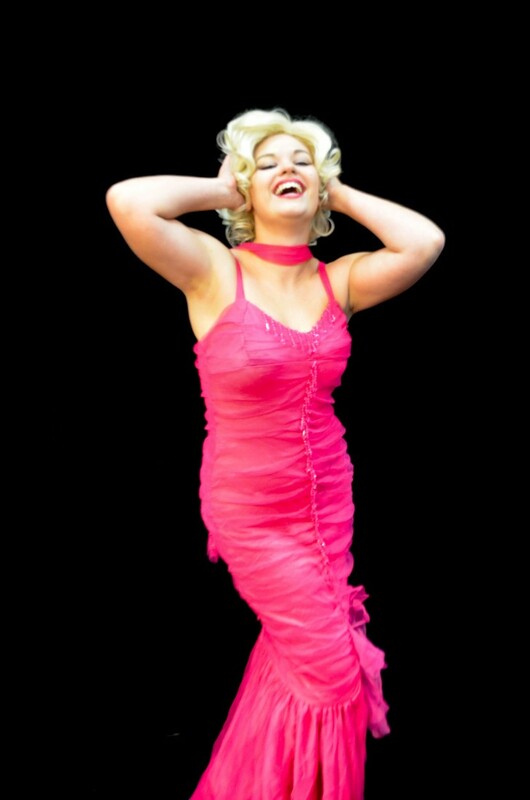 Thank you Amanda Lyn for such a wonderful performance as Marilyn Monroe. I had Amanda perform for us a second time and she once again was hands down a terrific performer. I would definitely recommend her. Amanda is a fantastic performer. She is compassionate, talented and professional. She arrived on time and was very good interacting with the audience. She knows how to captivate an audience. She has a beautiful singing voice and her beauty will stop anyone in their tracks. I highly recommend Amanda as a performer. Amanda is a musical theatre actor, and she has worked on stage in regional theatres in Pennsylvania, Florida, Colorado and Georgia so far. She has a BFA in Musical Theatre from the University of Central Florida. 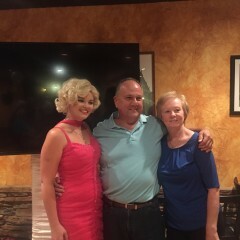 Sometimes, she is a part of Elvis tribute shows with Ultimate Elvis Tribute Artist Cody Ray Slaughter. Amanda is also a singer/songwriter, and she performs rockabilly/folk music. She has teamed up recently with the local Orlando Americana band Beemo. Singing has always been her greatest passion! She loves the vintage style of the 1950s through the 70s. Amanda's heritage is German, and she is conversant in the language. In her free time, she crochets matching outfits for her and her Chihuahua, Rosie. She is a huge fan of Elvis Presley, Abraham Lincoln and the Power Rangers. I typically use a microphone and amplifier. The amp needs to be able to connect to an iPod to play the background music tracks. I have a small amplifier that will work for small spaces, but if it is a larger venue, I'll need a sound system. Recent review: Was very pleasant. Thanks a lot. Would use anytime.